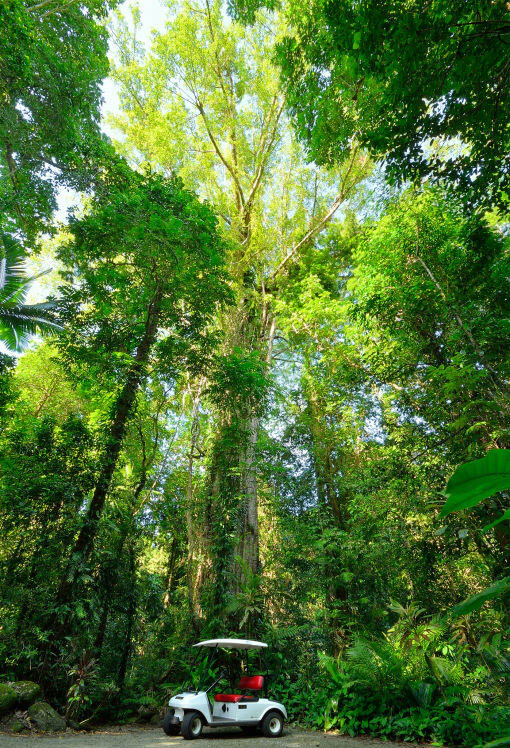 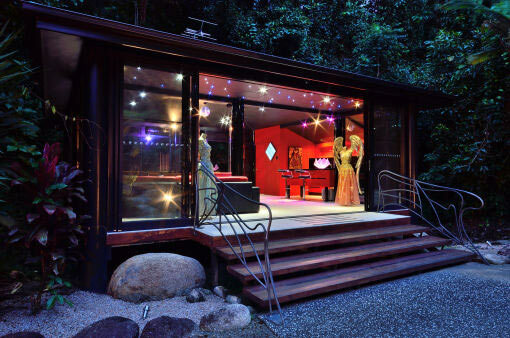 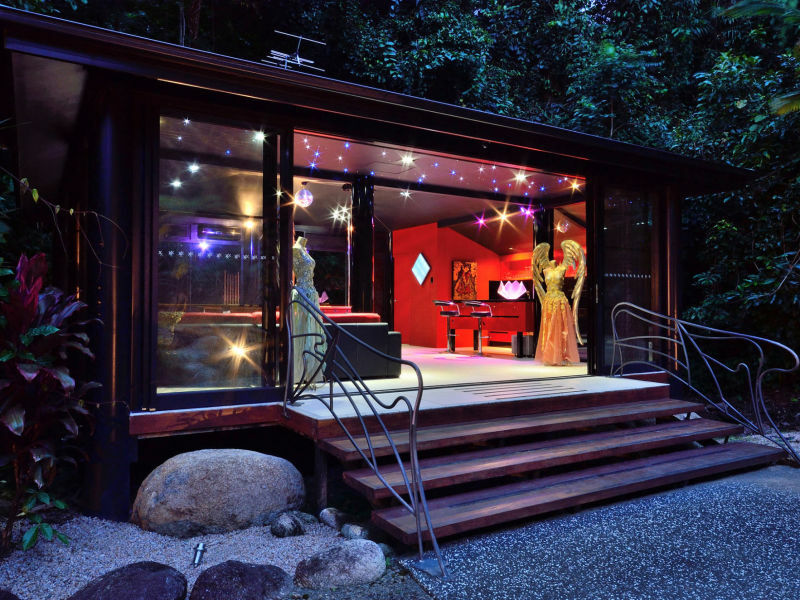 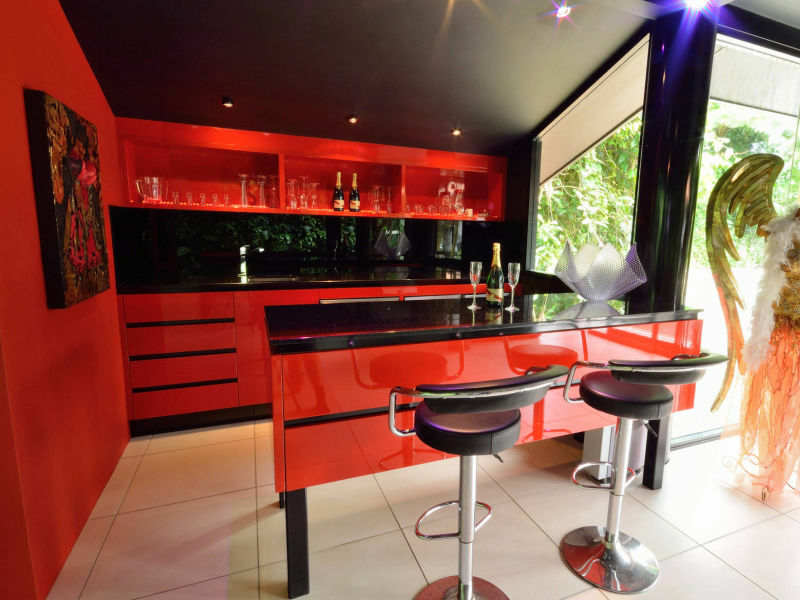 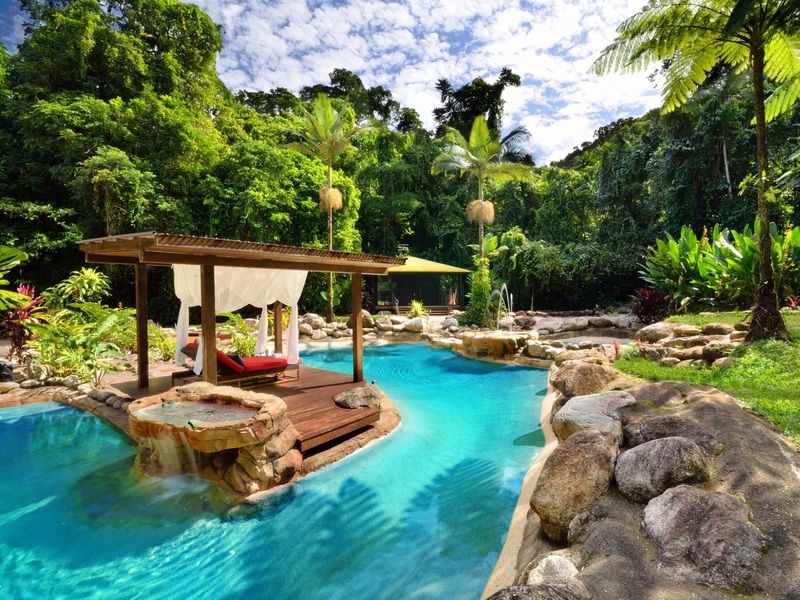 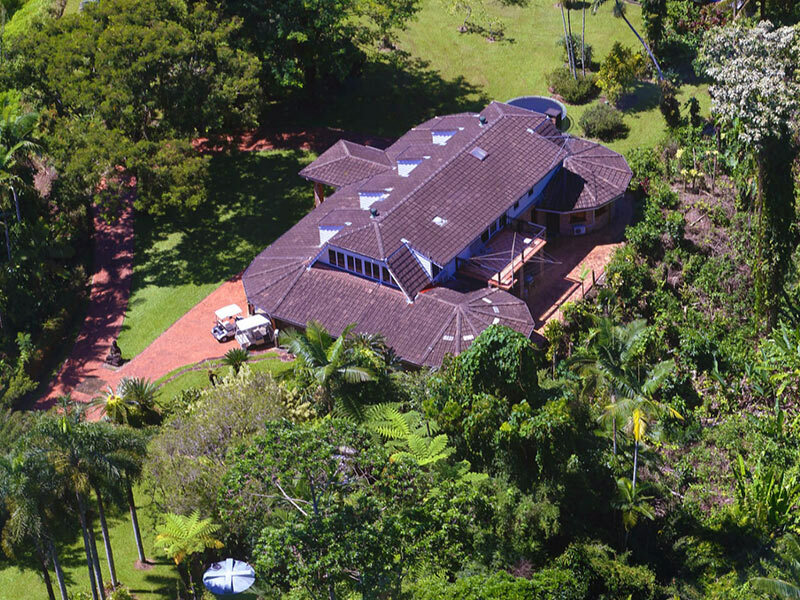 A unique location for film and television production, corporate events or short term luxury rental in Tropical Rainforest. 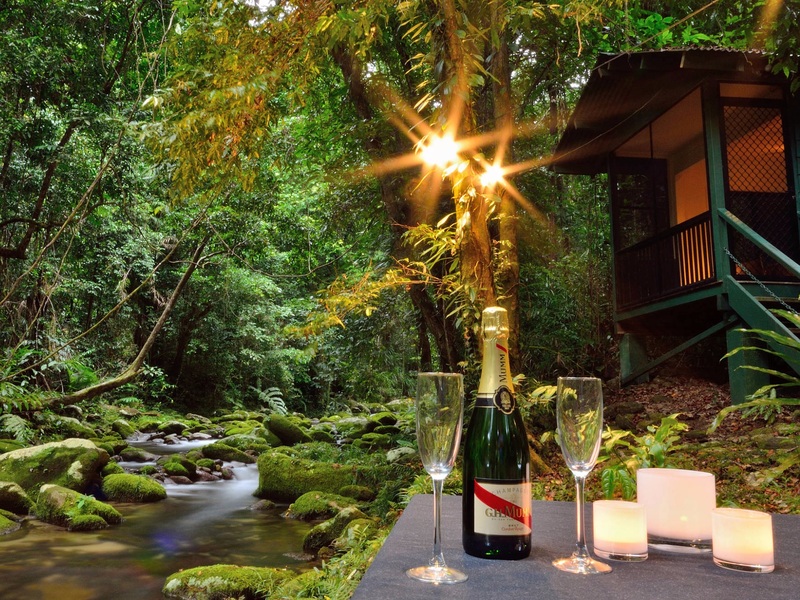 Take a golf buggy down to your own private mountain stream, be serenaded by the tropical wildlife or unwind in the barefoot luxury of the Misty Mountains homestead. 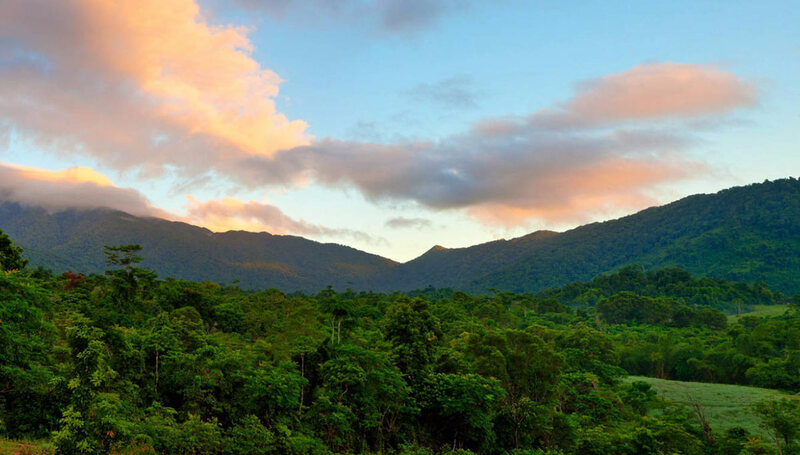 Misty Mountains Homestead presents a unique location at the base of Mt Bellinden Ker and is bordered by cascading tropical streams. This unique setting is alive with birdsong and is home to more than 700 species of flora and fauna. 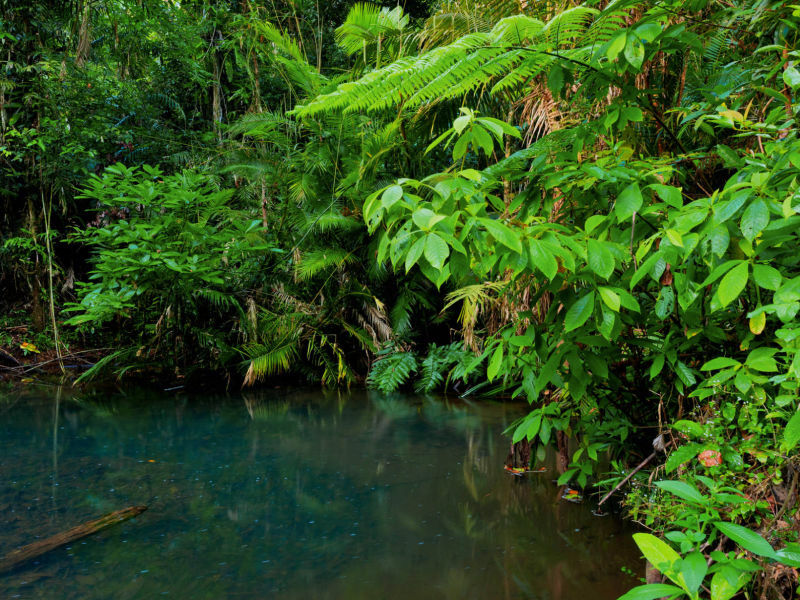 From the moment you enter our private rainforest driveway, you’ll feel your world has been left far behind. 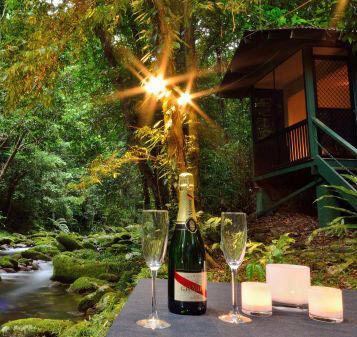 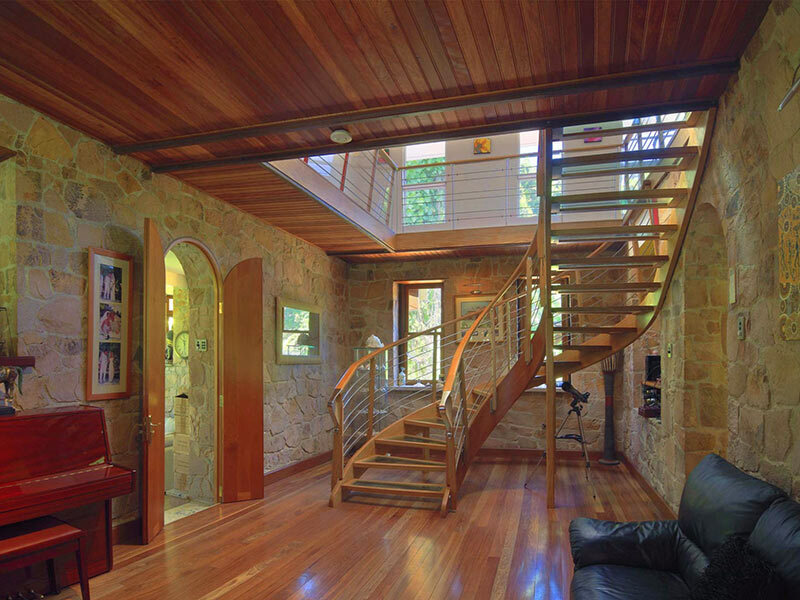 Surrounded by pristine World Heritage Listed Rainforest you’ll have 100% privacy and freedom to be yourself. 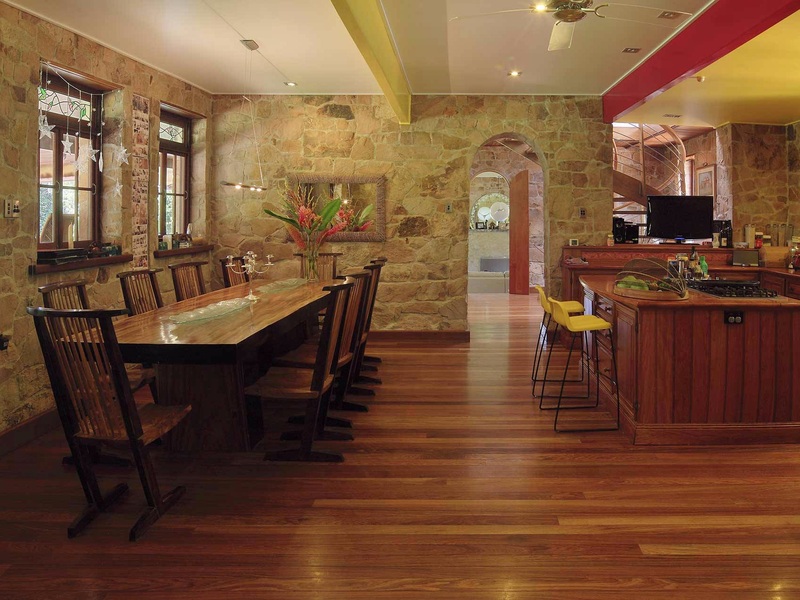 The Homestead was hand crafted from fossilised pink dreamtime granite and features magnificent array of pink tarragon and tulip oak flooring throughout. 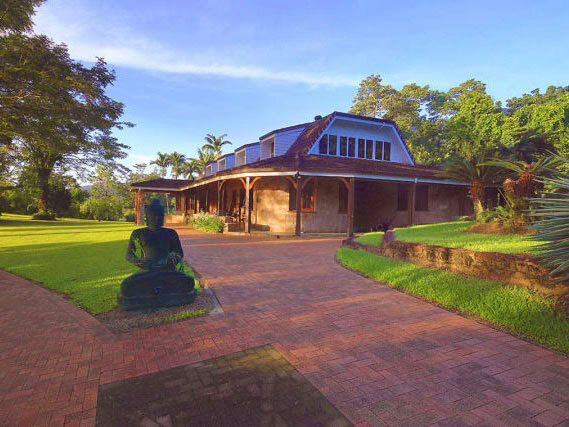 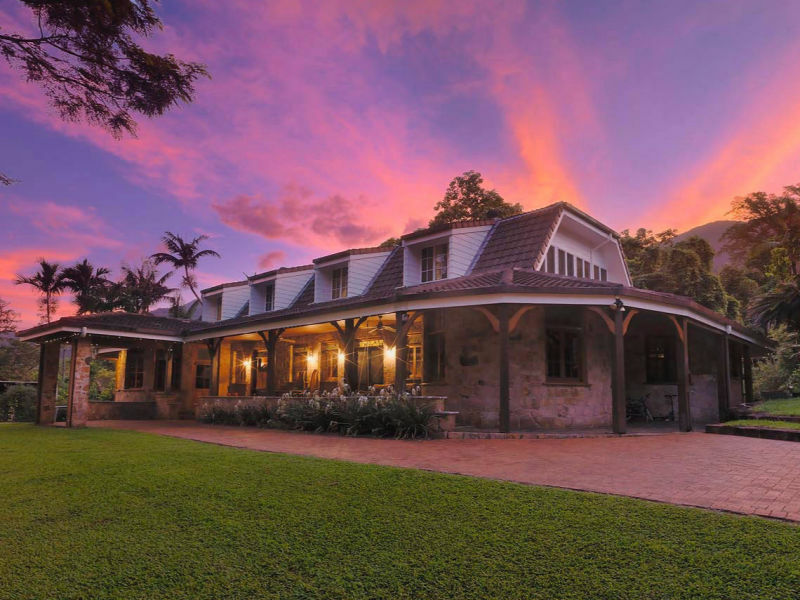 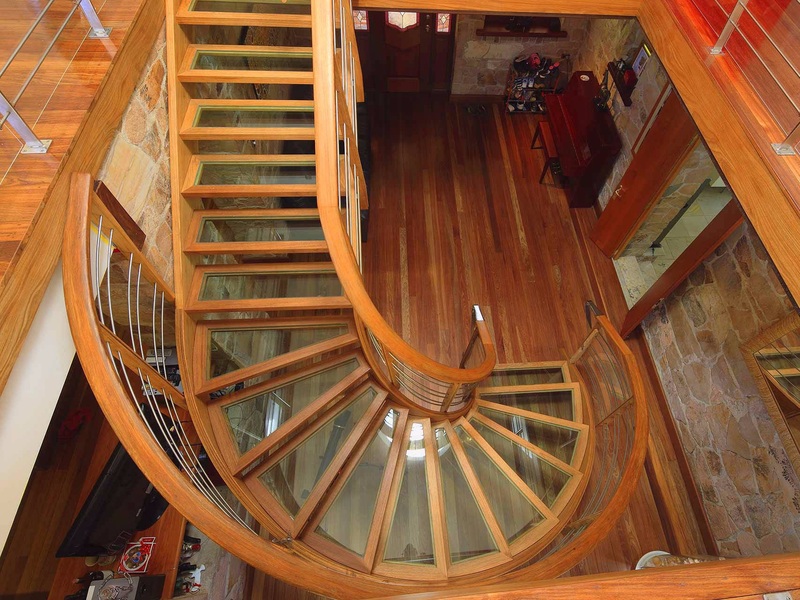 The handcrafted pink granite Homestead is located 40 minutes south of Cairns International Airport, on the edge of World Heritage Listed Wet Tropics Rainforest, nestled into the foothills of Mount Bellenden Ker, (1,593 m Queensland's second highest mountain. 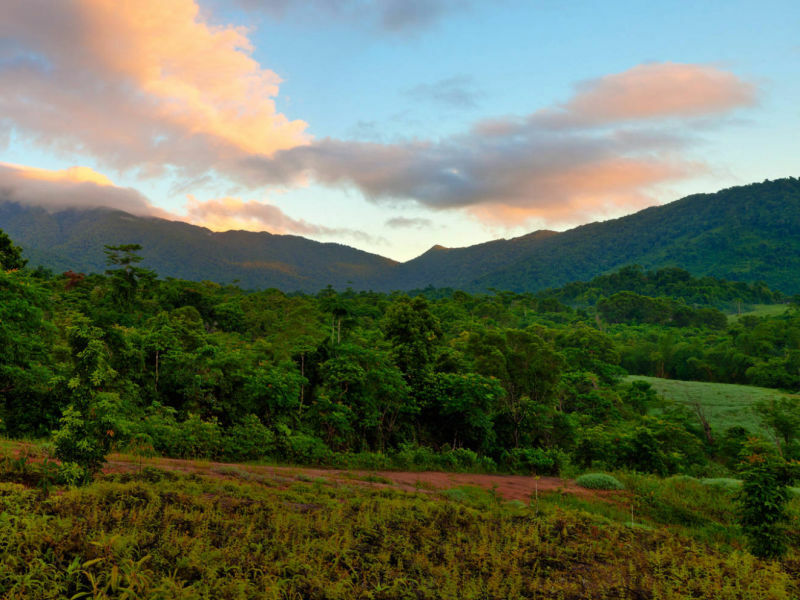 Misty Mountains Estate is also home to the highest concentration of primitive flowering plant families in the world… all this within easy reach of a major international airport and Tropical North Queensland’s many stunning attractions, including the Outback, broad sandy beaches, great fishing and of course the Great Barrier Reef. 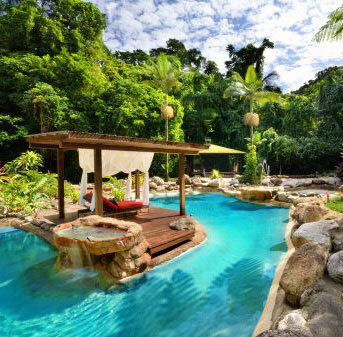 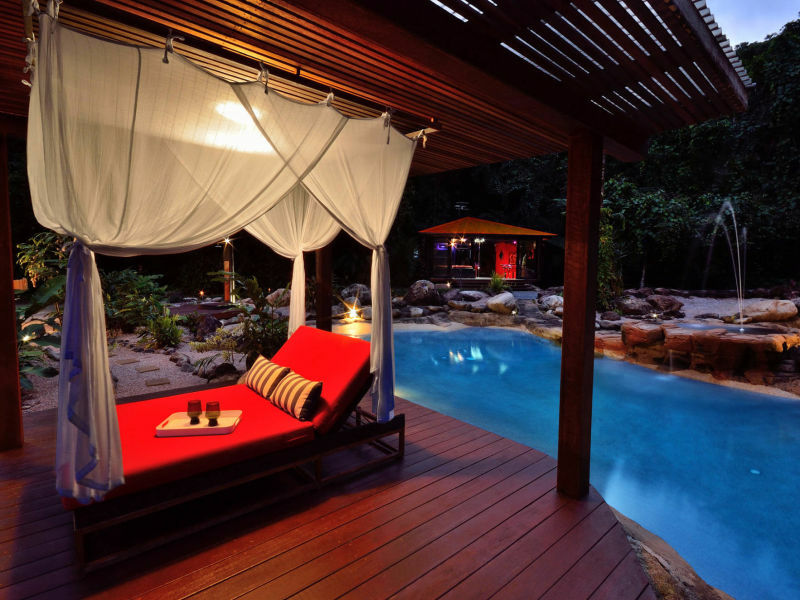 The image featured on this page was taken from the meditation and massage gazebo located on the property, just a short stroll through exotic garden paths. 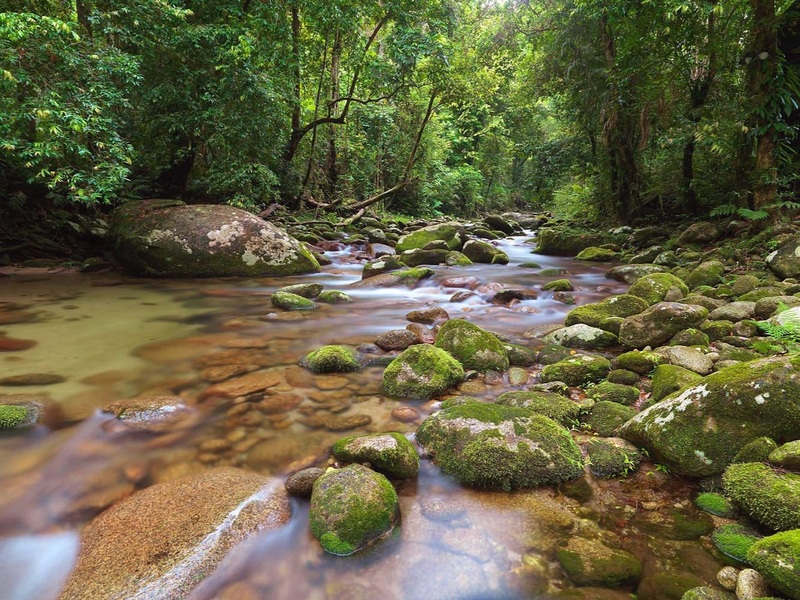 Explore the exquisite beauty of natural mountain streams and breathtaking mountain views as your backdrop, pack your walking shoes and hat as there are plenty of private rainforest and waterfall walks and lots of flora and fauna to see. 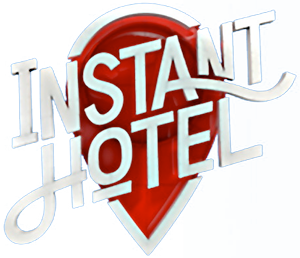 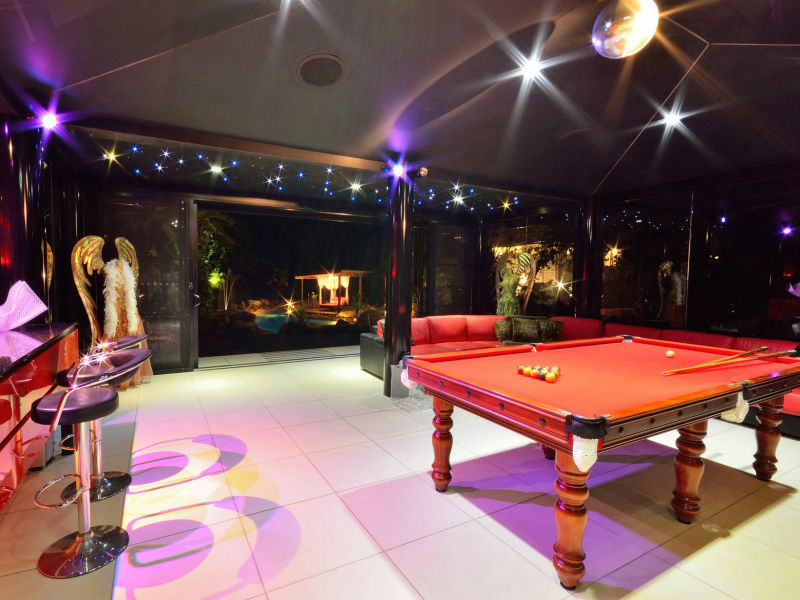 Experience 100% privacy and no tourists to interrupt your stay, feel as though you have escaped from the world and yet still have free WiFi and smart TV’s.